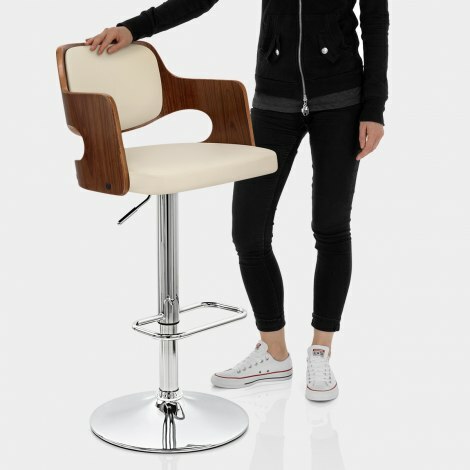 The stylish Amazon Walnut Bar Stool Cream is a brilliant fusion of modern and retro styling, perfect for so many spaces from clean-lined contemporary to rustic traditional style. A sleek and unique design, the Amazon has the potential to be the focal point of your interior. Utterly charming, the Amazon is equipped with a two tone seat upholstered in cream faux leather framed by a polished walnut finish frame. This is crafted from wood and showcases an accommodating, supportive backrest, padded in high density foam like the plush cushion below. The chrome plated frame below has a sturdy circular base that comes complete with an integrated floor guard, above which is the rectangular footrest. 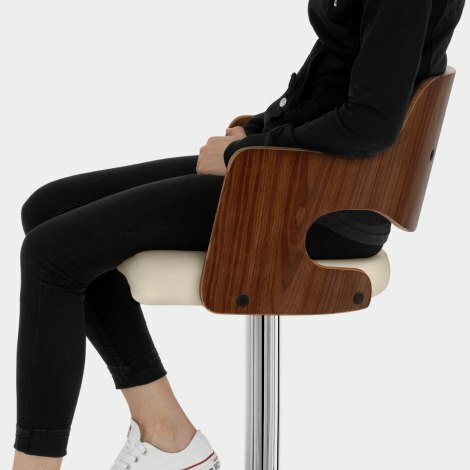 Adding further functionality is the gas lift mechanism, allowing you to raise or lower the seat as well as rotate though 360 degrees, perfect for any kitchen or breakfast bar. "Excellent service, quality and value for money"
The chair bought was well made and easy to assemble even for me! Easy to use and matches our kitchen decor. The delivery was prompt. I would recommend. Fantastic quality product. Great speedy delivery and very easy to assemble. Would recommend. Our best friend ordered 4 on seeing ours. 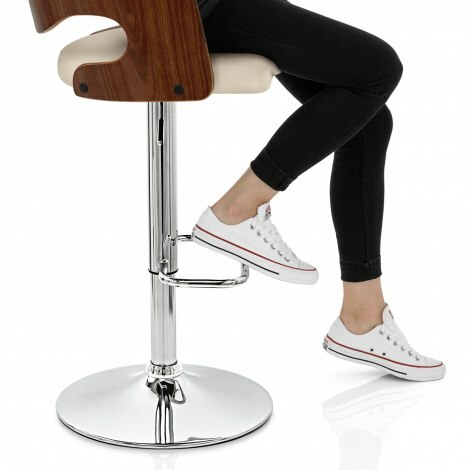 Could not be faulted in any shape or form ,good fast delivery, lovely stool, easily put together five stars. Arrived quickly easy to put together and look great. Good quality, easy to assemble and pleasing design.